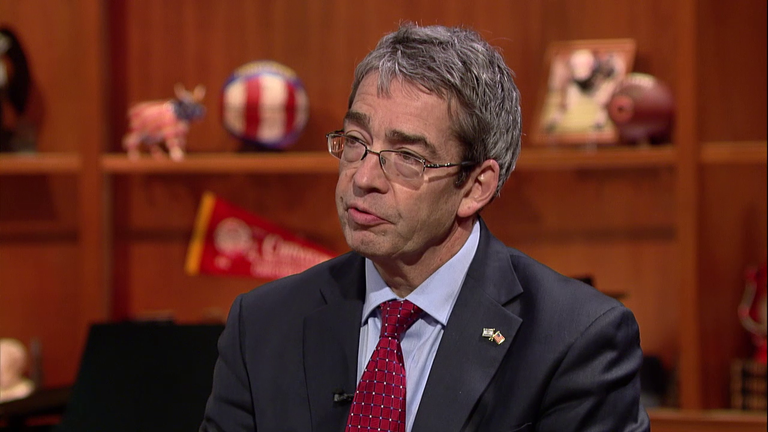 Roey Gilad, Consul General of Israel to the Midwest, joins Chicago Tonight to discuss the elections in Israel, Prime Minister Benjamin Netanyahu's upcoming visit to the U.S. Congress, as well as relations between the U.S. and Israel, and in the Middle East. On March 17, Israeli Prime Minister Benjamin Netanyahu is up for re-election. The 65-year-old, a member of the center-right Likud party, will face an array of competitors, both for his job and for control of the Knesset, Israel’s legislative body. The ballot will include a pair of candidates for prime minister from the Zionist Camp coalition who have pledged to serve two years each if elected – one of whom is Tzipi Livni, whom Netanyahu fired as Justice Minister in December after accusing her of attacking his government. Netanyahu also plans to make a trip to the United States next month, where he’ll address a joint session of Congress at the invitation of House Speaker John Boehner. The speech, in which Netanyahu is expected to back a Republican effort to derail the Obama administration’s negotiations with Iran over its nuclear program, has been criticized as a political circumvention of normal diplomatic protocol. Amid the Israeli election and questions over international relations, there’s also concern about security in the Middle East. A Hezbollah rocket attack killed two Israeli soldiers and a Spanish peacekeeper last week in a disputed area near Lebanon. The move was seen as retaliation for an Israeli drone strike that killed six members of Hezbollah and a member of Iran’s Revolutionary Guard. Also last week, the militant group ISIS claimed responsibility for coordinated attacks on Egypt’s Sinai Peninsula, which accounts say killed at least 32 people. ISIS has also released a video that appears to show a captured Jordanian pilot being burned alive, just days after reportedly beheading two Japanese hostages.